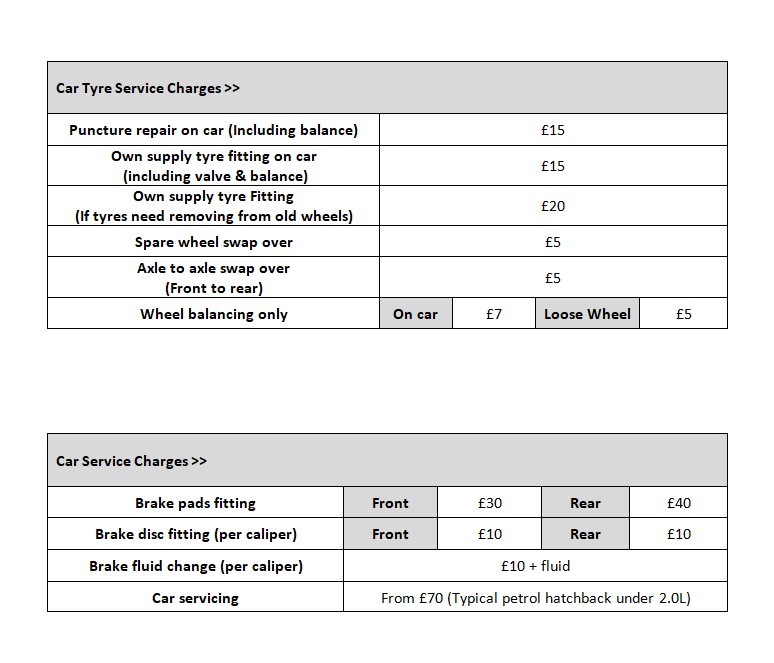 We don't just service bikes here at P&R, we also carry out general servicing on most makes and models of car. We typically keep repairs to a wheel related basis, which covers brakes, suspension and steering. We can also fit your own supply tyres be it new or winter options.